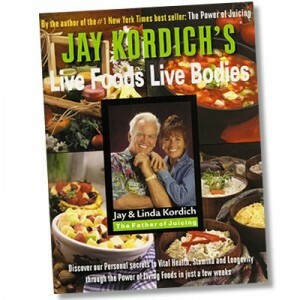 Have you ever wanted to attend Jay and Linda Kordich’s juicing and healthy foods seminar? 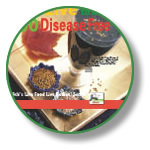 With the Live Foods Live Bodies Program you can do just that without ever having to leave your home. 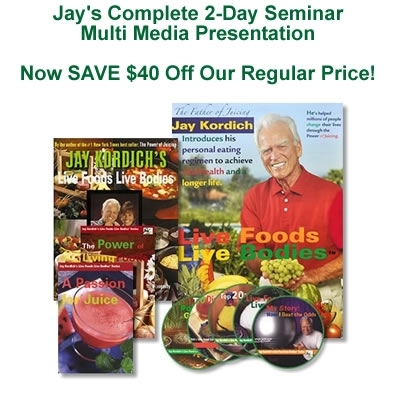 This comprehensive nutrition education multimedia package includes 5 audio CDs, 2 DVDs and the book that brings it all together, Live Foods Live Bodies. 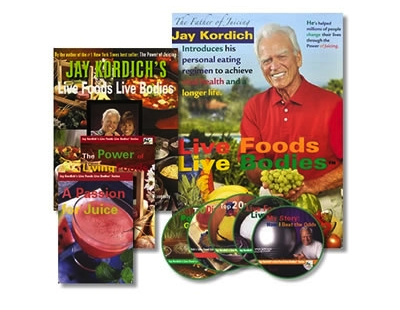 Jay Kordich has been teaching people about the power of fresh juice and raw foods for over 60 years. 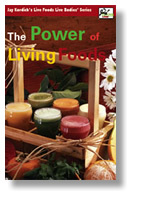 Co-written with his wife Linda, this book goes beyond juicing and into a whole new level of information. It takes you from breakfast, lunch and dinner recipes, cleansing programs, preparation and cooking techniques, to creating your own LIVING KITCHEN. An elegant full color coffee table-style book with over 240 pages packed with the valuable nutritional information. It is hardcover with a special hand sewn ribbon inside used as a bookmark, with a glossy full color book jacket outside. 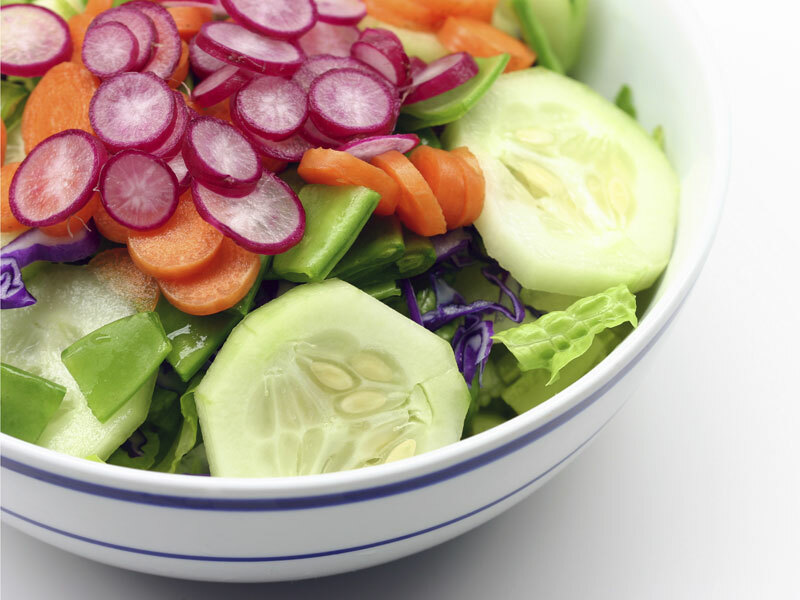 Jay’s most requested healing recipes which contain the top POWER FOODS. Linda’s great tasting recipes…these are the meals that Jay eats everyday. Do you want more energy and vitality? Do you want to live disease free into your 80s, 90s and even 100s? 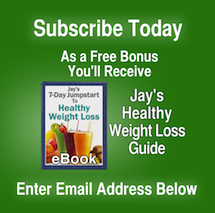 Do you want to learn how to create great tasting, healthy meals and and fresh juices, all with the life force Jay talks about? 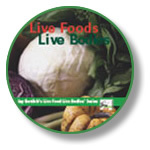 It’s all here in LIVE FOODS, LIVE BODIES. This is incredible knowledge and experience only Jay Kordich can provide. 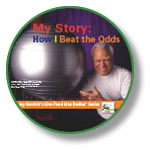 Now 89 years old, he shares his SECRETS TO LONG LIFE AND VITALITY with you and your family. “Understanding juice therapy can change your life, helping you to live longer and live better!” says Jay. “This is why I made this DVD.” Jay is brilliant in this DVD; energetic, knowledgeable and inspiring. 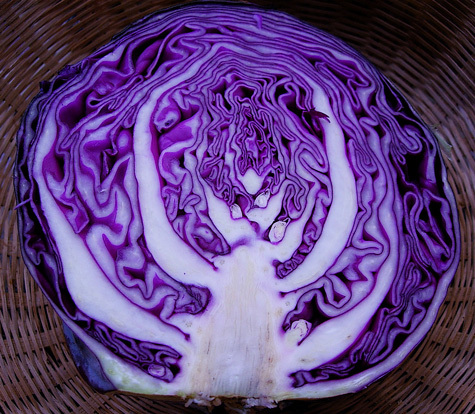 How cooking destroys the “Life-Force” of food. 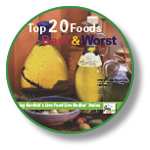 This CD will change the way you think about your current diet and inspire you to eat more living foods. “It’s where all your vital life-force comes from,” says Jay. Use Linda’s 30 years of experience as a NATURAL FOODS chef to help start your journey towards Living longer and better! Through all the ups and downs of spreading the message of fresh raw juices Jay was somehow able to keep moving forward. If you were ever down, depressed or unmotivated, this CD will truly change your life. “Never give up, even when nobody believes in you,” says Jay Kordich. Jay tells us living to be 100 years old is a path he’s been on for many years. Now you have the chance to learn how he’s living his life and put that knowledge to work for yourself and those you love. 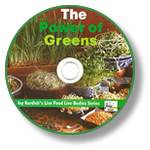 “Greens,” Jay Kordich says, “are THE MOST IMPORTANT FOODS on planet earth. There would be absolutely no life on earth, if not for the green of the plant.” This information is important for you and your family’s health and it’s delivered in Jay’s own entertaining style. If you didn’t want to eat or juice greens before, you will change your mind after listening to this CD. 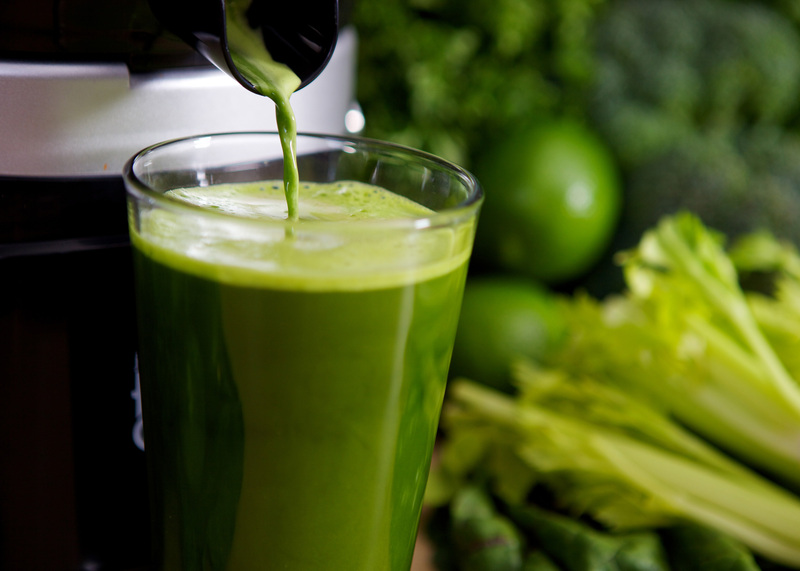 The Live Food Live Bodies Program, our complete juicing and healthy eating seminar is regularly priced at $99.95. During this special offer, you can have this comprehensive package delivered to a special friend, a family member or for yourself for only $59.95 plus shipping and handling. Also, certain foods we eat can greatly impact the health and overall longevity of our kidneys. Foods such as flour, either white or wheat, sugar, crackers, red or white meats can greatly harm our kidneys from functioning successfully. Millions of Americans were eating high protein, flesh food diets to drop weight but they didn’t realize their kidneys were being negatively impacted by the high protein, no fiber foods. That would include macrobiotic diets as well. They don’t recommend drinking much water…and our kidneys NEED a flow of water to keep them buoyant, and functioning at their optimum, yet drinking vegetable juices and/or purified water is important, drinking liquids all at once can harm them as well, so try to stretch your liquid intake throughout the day. This spectacular berry helps support our kidneys, mostly due to its highly acidic juice. Its acid can help prevent kidney stones from developing. Cranberries contain a chemical called polymer and it is the polymer in cranberries that is responsible for increasing the acidity of your urine as well as helping prevent bacteria from growing. We don’t recommend drinking the juice cooked, processed or riddled with sugar. You can purchase fresh Cranberries usually from October through February. 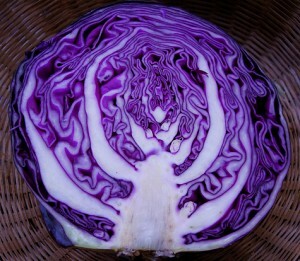 Remember, Organic only! 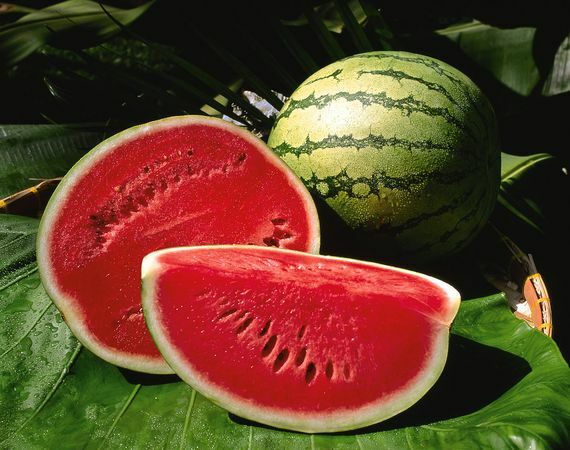 According to a 1995 Harvard University study, watermelon contains a lot of potassium, which is very helpful in cleaning or washing off the toxic deposits in the kidneys. 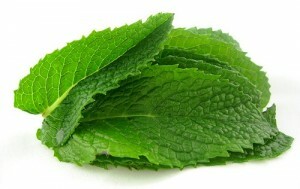 It is also helpful in reducing the concentration of uric acid in the blood. Watermelon also has a high water content that induces frequent urination, which is also helpful for cleansing the kidneys. Its antioxidants help ensure good kidney health. Caffeine addicted but….love coffee? Yes, it’s a huge LOVE/HATE addiction. Caffeine will alter your liver and gallbladder’s ability to function normally. It is also highly ACIDIC. I have been witnessing this addiction in people for over 60 years. Coffee drinker’s trademarks are: Yellowing skin, dark spots on skin, dry, brittle nails and pre-mature aging and deep wrinkles on the face. Drinking coffee/caffeine also puts a huge strain on our nervous system, furthering our inability to feel relaxed. Caffeine is a real drug, with long standing withdrawls…..but there is an easy way OUT of this addiction. Here are our suggestions which many people have told us in the past really works and only takes 10 days! #1. Upon arising, go on a 15 brisk minute WALK in the morning outside for 10 days. #2. Make 16 ounces of fresh DARK BLACK GRAPE JUICE (Riber) are the best, and juice them with their ‘seeds’. Only dark grapes. 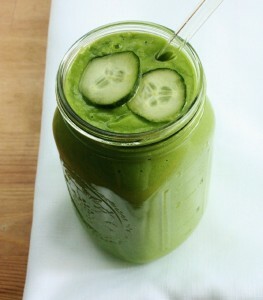 This will give you a tremendous amount of instant energy. #4. Drink lots of water throughout the day, at least 64 ounces of purified (preferably highly alkaline water). #6. You WILL encounter headaches. This will pass in 48 hours or less. Within 5 days, you will not encounter any more pain, but you will feel sluggish for another 7 days. But this sluggishness will diminish everyday you stay away from the sodas, black tea or coffee. Trust in this process! Within 10 days, you will have overcome your addiction to caffeine and now you will well be on your way to becoming more and more attracted to fresh, organic, green juices, wheatgrass juices and living foods that will enhance your natural energy even more. Coffee WILL and DOES deaden your tastebuds, furthering the downhill addictions to more sugary, acidic foods, and also attracting you to alcohol to help you get ‘down’ from the highs caffeine takes you into. *If you are sugar sensitive, you can substitute the Dark Grape Tonic with fresh Grapefruit Juice (peel the skin and leave lots of the white pulp). 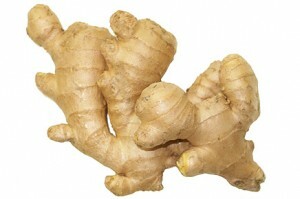 Add some fresh ginger root to this tonic (approximately 1/2 inch). Juice 2 grapefruits this way (preferably Ruby Red Grapefruit) and then add the ginger root in between juicing. If you don’t like Grapefruit (which is quite low in sugars), you can juice fresh Blueberries. These two fruits are low in sugars (glycemic index) unless you are diabetic. If you are diabetic, we suggest you consult your physician. **Here’s my Supergreen Energy Tonic: (this can also be substituted instead of the Dark Grapes for breakfast, or you can juice the grapes one day, then the next day, use this tonic (below). Drink 24 to 36 ounces of this tonic daily for two solid weeks. 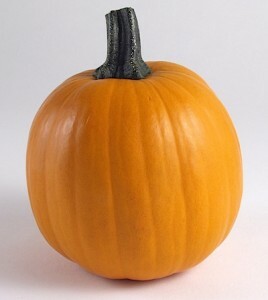 your bowels may be loose, but this will go away in 24 to 48 hours. You may LOVE coffee…but it does not love you!